Many acupuncturists struggle. There are plenty of stories of struggle, failure, and the stress of the high cost of student loans. But there are acupuncturists who succeed, despite the odds. It’s time to share their stories. Untold Stories shares stories of successful acupuncturists, not the well-known practitioners, but those who work a little less obviously. They’ve each followed a different path and they each define success a little differently. Untold Stories hopes to share stories so that new acupuncturists and struggling acupuncturists regain hope and vision for what their practice can become. 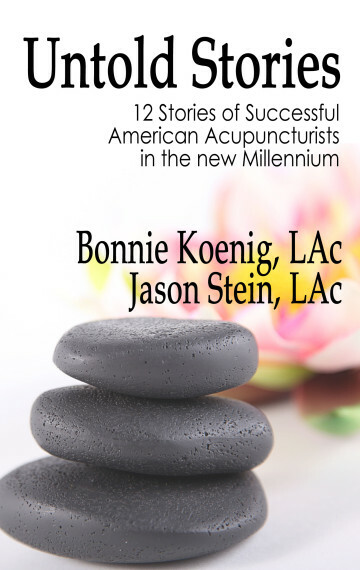 Authors Bonnie Koenig, LAc and Jason Stein, LAc share a passion for helping new acupuncturists succeed in the business world today.